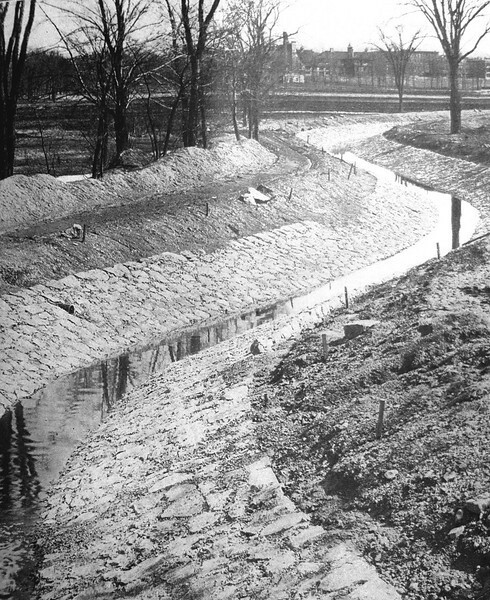 1911: Rechanneling of Canterbury Brook, from the Annual Report of the Boston Sewer Department. The buildings in the distance, across Morton Street, are those of the Insane Hospital's Department for Women at Austin Farm. Courtesy of the City of Boston Archives.